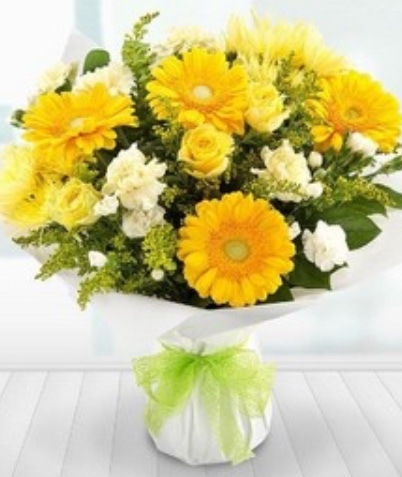 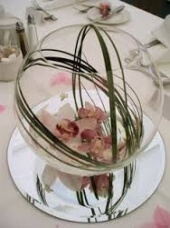 The first bowl arrangement is a modern design with cymbidium orchids and swirls of beargrass. 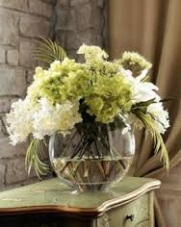 The next is a contemporary design cascading over the bowl in lime greens and white. 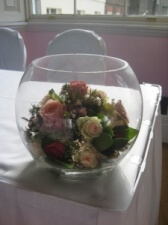 Lastly a beautiful collection of roses arranged neatly inside the globe.